USAToday’s Jeff Graham took SkinneePix to Venice Beach to see how people like it. Sue and I have had lots of publicity this week over our new app. 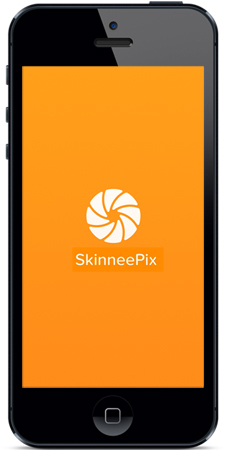 Through our business – Pretty Smart Women – we’ve launched a photo app called SkinneePix. And it has taken off. We are both journalists. We’ve even got a great journalism-based idea that we’re looking for funding for. But it’s the fun, light photo app that takes off like crazy so far. It’s been interesting to be on the other end of the publicity machine. 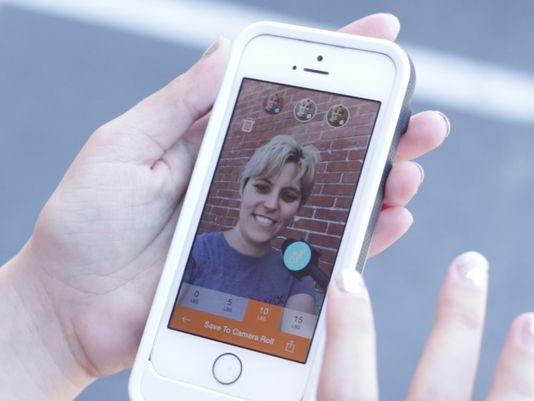 Even though we have been very accessible, we’ve been amazed at how many people have written about SkinneePix and lifted quotes from one of us from early stories without giving us a call (in particular this one from the LA Times: New app SkinneePix makes your selfies a little skinnier). And here’s my response to the writer. My comment on the story has had lots of thumbs up from other readers. Many were happy to see me join them in the comments “below the line”: Hi, Guardian Crew! Sue is using the app to lose some weight and get a little more healthy. She’s written about it in Getting Healthy With My Selfie. So far, this has been wild and fun. And the app isn’t even a month old yet. Sue is on her way to New York City, representing Pretty Smart Women in more interviews. We’re not sure where this will take us, but in a few weeks, we’ll turn back to some of the other projects we’ve got in the works.